For the past five years, the City Attorney’s office of Key West, Fla., hasn’t had to produce a Request For Production—a fancy handle for an invitation to bid on producing an event—for the annual offshore powerboat races in the city at the end of the road. That’s because Super Boat International had a five-year contract with the city, which as most offshore racing fans know expired when the November 2018 race week concluded. Whatever happens on the offshore racecourse, 2019 is certain to be a season of change. Photos courtesy/copyright Pete Boden/Shoot 2 Thrill Pix. SBI heads and Key West locals John and Deana Carbonell have announced that they will put in a bid for the event. In fact, they already have it listed on their website as an event for the 2019 season. Also based in Key West, Larry Bleil of Race World Offshore also plans to bid for the races. Bleil, who launched RWO a little more than a year ago, was the head of the Conch Republic Powerboat Association, the Key West organization that pushed through SBI’s now-expired five-year deal with the city. So which organization will come away with the rights produce the event? No guesses here, but what’s intriguing to note is that both outfits have moved with forward their regular-season schedules and are still pursuing other venues. RWO has one solid event for 2019, a race in Dunkirk, N.Y., and according to Bleil is planning to run it regardless of what happens with Key West. SBI has two regular season races on its schedule—its season-opener in a suburb of New Orleans and a contest in Clearwater, Fla., the longtime venue for its annual National Championships. 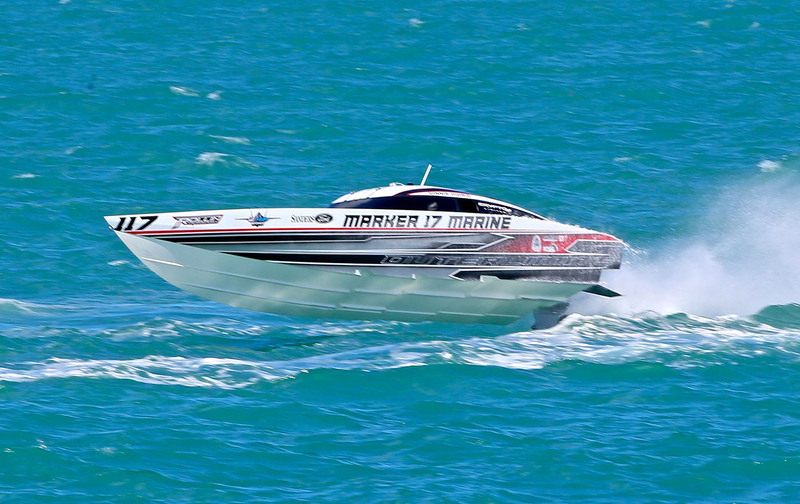 But a Clearwater contest for the same dates also is listed on the six-race Offshore Powerboat Association/Powerboat P1 series for the 2019 season, and Frank Chivas, the local power broker behind the Clearwater event, has described his commitment to the OPA/P1 as tentative pending the outcome of the Key West RFP process. From the racer and race producer—SBI and RWO—perspectives, the battle for Key West, which is shaping up to be a doozy, obviously matters a great deal. But beyond those who have allegiances to one organization or the other, does it really matter which outfit wins the prize? Based on a few recent data points, I’m not so sure. A Jan. 5 speedonthewater.com, the “Super Boat International Inks First Race Of 2019 Season” was read 3,245 times in less than two days. Stories on RWO’s plans, as well as those for the OPA/P1 six-race series have drawn similar traffic numbers. Using inherently dubious social media metrics such as Facebook “likes”—as useless as such metrics come—they’ve also done well in the social media world. My conclusion from this admittedly small sample size? Offshore racing fans just want to see great racing and they don’t much care who or what makes it happen. For the shakers and movers and organizers and heavy-hitters inside the sport, this above all else is worth keeping in mind. Of course, as someone who’s covered offshore racing for a long time and plans to continue to regardless of what happens this season, I’d be lying if I said I weren’t hanging on the outcome of the Key West RFP. But no matter who gets Key West, 2019 is for a better or worse destined to a season of change for offshore racing.